So if you've been following me on Instagram then you probably already know about this awesome bracelet that my sister, Vanessa, sent me. It's a Lokai bracelet and I just love the concept behind it. 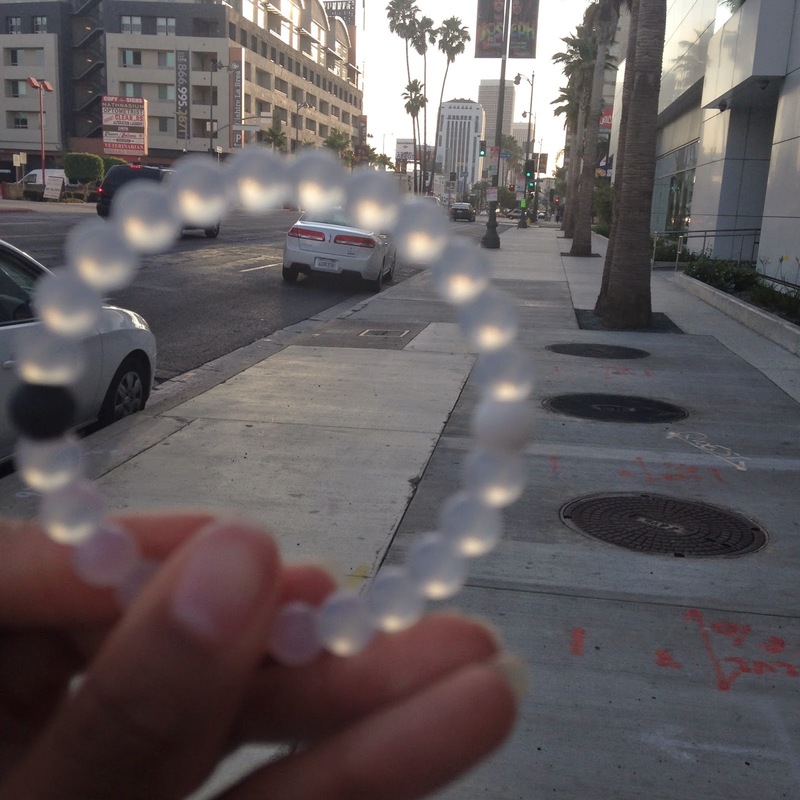 The white bead in the bracelet contains water from Mount Everest, formerly known as the highest point on earth. The black bead contains mud from the Dead Sea, the lowest place on earth. It signifies that throughout life, we will be faced with highs and lows. We cannot let these moments define us, however. So when you hit a high in life, stay humble. When you hit a low in life, stay hopeful. It's an awesome message and one that I should definitely keep in mind as I trek through this law school journey! and so happy you love your gift! hope it gives you all the balance you need in life. ok.. you look uber cute and I need one of those bracelets. It's perfect for a reminder when life gets a little tough. That outfit is totes BOSS! Love the bun and the significance of the bracelet!